The average time a customer waits for a meal in a restaurant is aproximately 20 minutes. Most of this time is spent looking at the table top. Give your guests something colorful and interesting to look at. You can coordinate your custom color paper placemats with our custom printed napkins and custom printed plates as well. Our paper place mats are eco-friendly and give you a flexible, cost effective way to update your menu, promote special offers or introduce new food items to your customers. 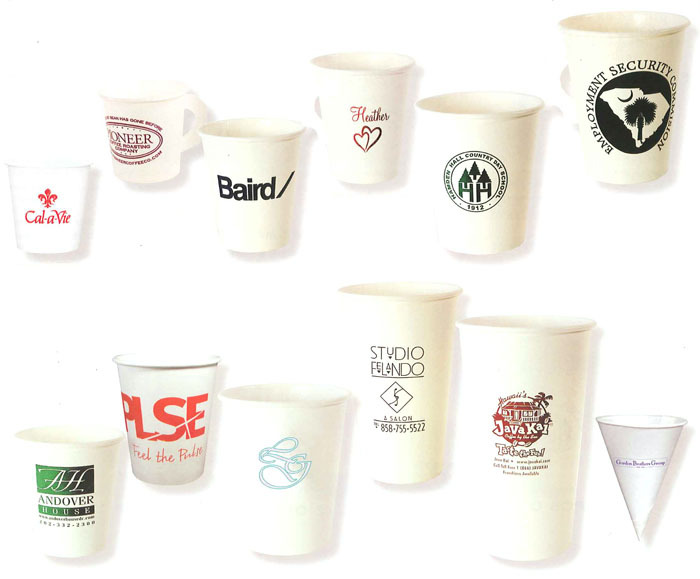 We offer many sizes and styles of custom printed paper cups, all available printed with your custom logo!